What makes a good investment in SEND? 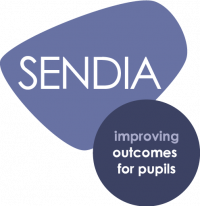 A whole-school approach to improving outcomes for pupils with SEND means not only an investment of money, but also training priorities and time. SEND provision is too often directed toward those with more complex needs or EHCPs. This means that young people with SEND who are identified and supported at School Support Stage are not receiving appropriate support, especially under the current funding arrangements. Coupled with the raft of illegal exclusions, a range of issues face SENCOs as they advocate for young people and their families within a system that just doesn’t have enough resources within it to meet the needs of children attending our schools. Few families or SENCO colleagues would disagree that ‘more’ (funding, resources, professionals, to name just a few) is needed. This becomes ever more apparent as I work with different schools and families across local authorities. It also reminds me of what we achieve with one of the lowest per-pupil funding levels in England. I have written previously about the specific financial issues schools face, and will look into this in greater depth later on this year. But as we approach the end of the financial year, how can we make as great a difference as possible with the money we have? This is, of course, the essential question. While I don’t think I can give a definitive answer, I can explain what works well for us and what constitutes a ‘good investment’ for colleagues. For a while now, I have advocated for a ‘whole-school approach’ to meeting individual needs. In fact, considering the issues outlined previously, the economies of scale and wider effectiveness of a whole-school approach are now integral to SEND provision. I doubt many schools have the luxury of being able to use historic models of intervention and support, such as dedicated one-to-one literacy support and centralised specialist teaching teams; be it right or wrong, it’s the reality. This is tough, no doubt about it. But let us not forget those young people with SEND who don’t have EHCPs. A whole-school approach is cohesive, collective and collaborative action in and by a school community that has been strategically constructed to improve student learning, behaviour and wellbeing, and the conditions that support these. the education of staff, other adults and peers. How schools structure CPD and staff training is an important part of the whole-school approach. I don’t think many schools are wedded to five whole-day Insets now; often some of these are disaggregated and form twilights throughout the year. My advice is to now undertake an audit of training requirements from staff. From that audit, ensure you schedule appropriate, planned training that will meet the needs you’ve identified. There’s nothing worse than having to attend a meeting or training session that has little to no relevance to you, especially if you have a pile of books to mark or exams to plan for. To put it simply: targeted training will have the greatest effect on teaching, which in turn constitutes the most effective support for all young people (not least those with SEND but without an EHCP). Consider the interventions you carry out and the clubs you run. Are they still going simply because they’ve been running for ages? Have you taken any time to analyse their quality, or impact? Having these critical conversations with your pastoral team and academic colleagues will help give you a better understanding of what you currently offer, and how you can refine provision. Our research also highlights the need to explicitly teach young people about clubs and activities; don’t assume pupils can simply take turns or access certain activities without having received explicit instruction first. Look at your existing provision. If you cannot identify the impact it's having on your students' outcomes, is it really a useful spend? Don't be afraid of making difficult decisions – only be afraid of making them without sufficient evidence. From April, most if not all of us will have new budgets. We will also be thinking about the curriculum offer, options and planning for September. Now is a good time to arrange meetings with your link governor and headteacher, to discuss the identified needs of your pupils as part of your planning for September. Each school and setting is different, and there isn’t a one-size-fits-all approach. However, it’s vital we don’t forget the many young people with SEND who don’t have EHCPs. Supporting them to get the best possible outcomes has to be a collective responsibility. What do you do? Could you do anything differently? Now is the time to start thinking. Come back on Friday for ideas and materials to support staff training in your school.